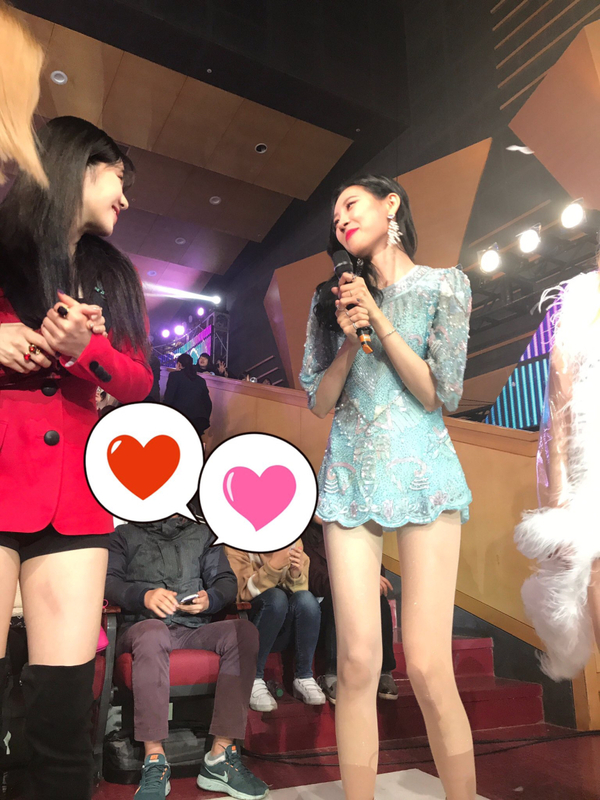 -Whoa, Sunmi doesn't have fat at all on her legs..
-I wonder who was the person next to Sunmi, the one who wore vinyl outfit..
-Are Sunmi's legs real??? That's crazy..
-Look at the fat on Yeri's cheeksㅋㅋㅋShe's such a baby, no doubt.. Irene and Sunmi look so beautiful..
-I mean.. They still look very gorgeous even when the pictures were taken from that angle..
-Yeri's eyes are so big, and Irene's skin is so pale.. So pretty..
-Sunmi's dress is seriously too short..
-Irene's hands are so small, they look so cute..
-Why do Yeri's eyes look swollen..? -Seems like Yeri cried a little bit that day.. Her eyes were swollen..
-Irene's nose line and the size of Yeri's eyes.. They're driving me crazy..
-Irene is so freaking pretty..
-I can only see Sunmi's legs..
-It's kinda shocking because their outfits were too short..
-Sunmi's legs are crazy.. They look like doll's legs..
-Yeri is so freaking cute..
-Look at the way Sunmi smiles, she's so cute..